Valentine’s Day is usually all about THE one you love but this year I wanted to make sure the people that give me support, love and friendship some treats too. Over the last couple of years it has become very clear to me that friends are family too. One of my favorite quotes, I even had a tattoo of it, is “Friends by Chance. Sisters by Choice.” Valentine’s Day is a day all about celebrating love so lets remember those special friendships this year too. I decided that I wanted to make some special homemade candies for my friends and coworkers and give them a little treat. 1. Invest in a silicon mini heart mold. Cover the bottom of each mini heart mold with sprinkles and a couple M&M’s® Red Velvet. 2. 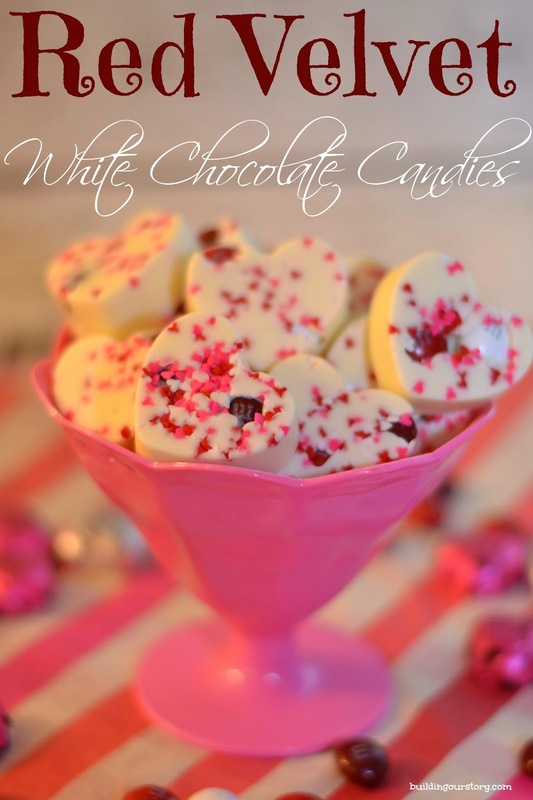 In a microwave safe pour-able dish, I used a large glass measuring cup, melt the white chocolate. Heat on defrost for 30 seconds and stir well, continue to heat in 15 second increments stir each time until completed melted. 3. 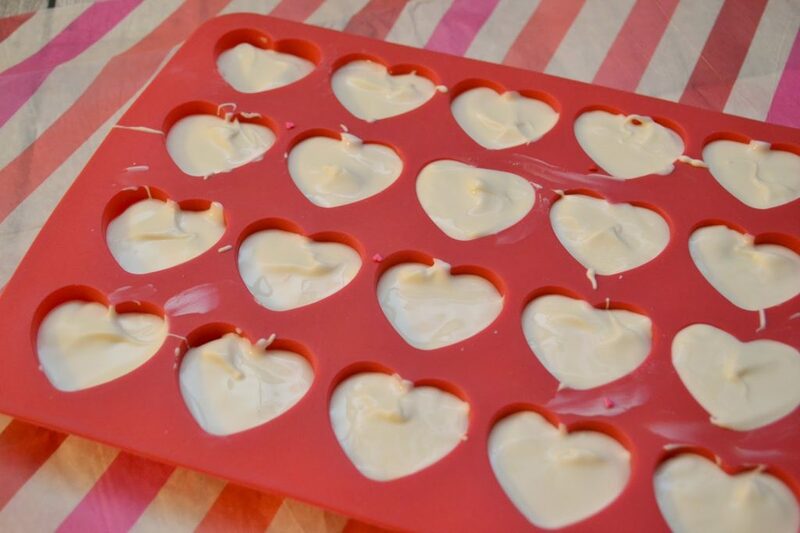 Fill each mini heart mold with melted white chocolate. 4. Smooth out the chocolate using a rubber spatula. 5. Carefully move mold to the refrigerator. Refrigerate for 15-20 minutes. 6. 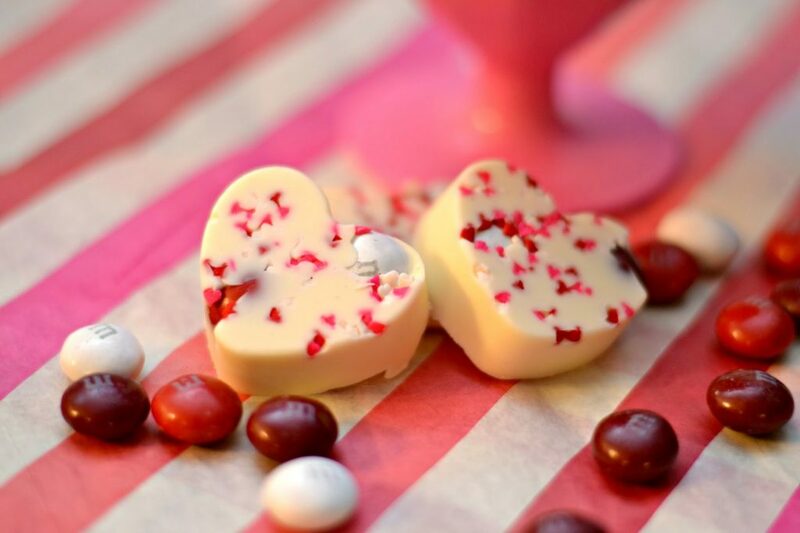 Carefully remove each candy from the heart mold and you are ready to try the candies or gift the candies! Yum! 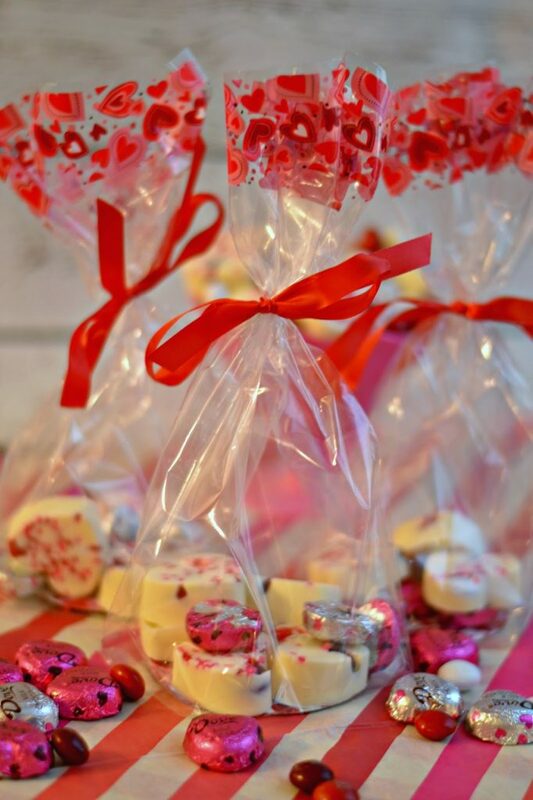 Once my M&M’s® Red Velvet White Chocolate Candies were ready I started to make the Valentine’s Day Celebrate Friendship Treat Bags. I put 4-5 homemade candies in each bag and for some Milk Chocolate goodness I decided to add some DOVE® Promises. 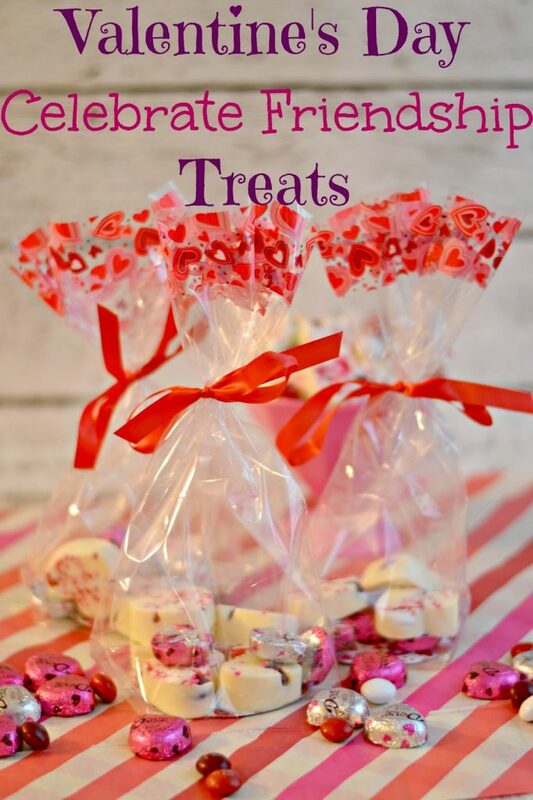 Now this treat bag will make any friend see the love! 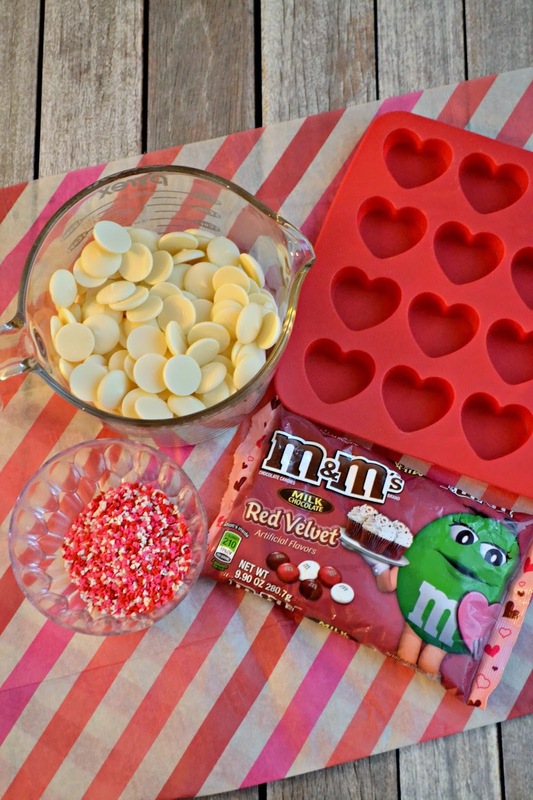 The M&M’s® Red Velvet totally adds a new twist on the traditional white chocolate candy. So pretty. I also plan on making another batch of these goodies for my coworkers. These will look perfect in our office. Yum Yum!!! Cute right? I love them and I cannot wait to celebrate friendship this Valentine’s Day by handing these out to my best friends. While these candies are so cute and yummy I want them to understand how much I appreciate their friendship. With out my friends, who I consider my family, I would be lost. Who’s Friendship will you be celebrating this Valentine’s Day? Gorgeous treats! We love M&M's! I bet I could help my son make these for his class. Thanks! I agree! Spreading the love on Valentine's Day to co-workers, friends, and neighbors (not just your husband or wife) is fun! These are really cute gifts! Super cute! 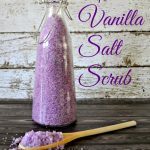 I love little homemade treats like these, and it is a bonus that they are super easy to make! Oh, I love these! I could eat M&Ms all day and these are awesome! 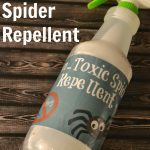 So easy and great for little classroom or teacher gifts! These are so adorable!! A great little valentines day treat! Little peek-a-boo's. 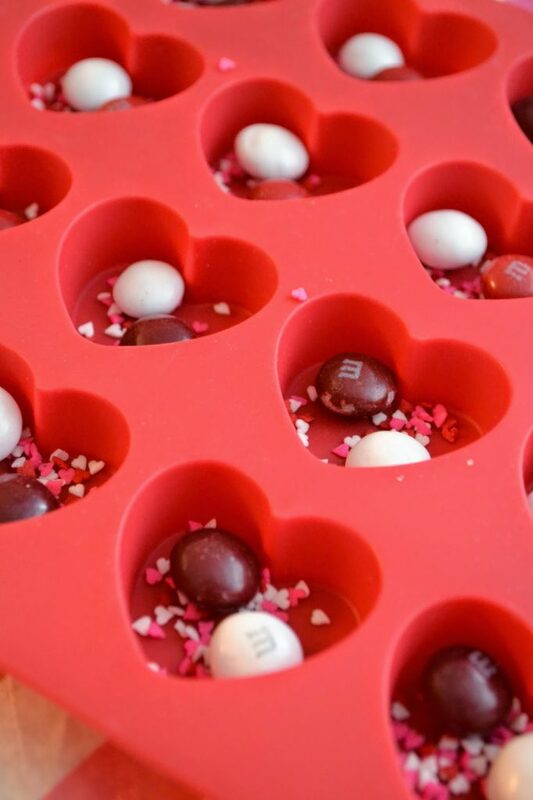 What a fun way to use the M&Ms! Love this cute idea. Perfect treat. 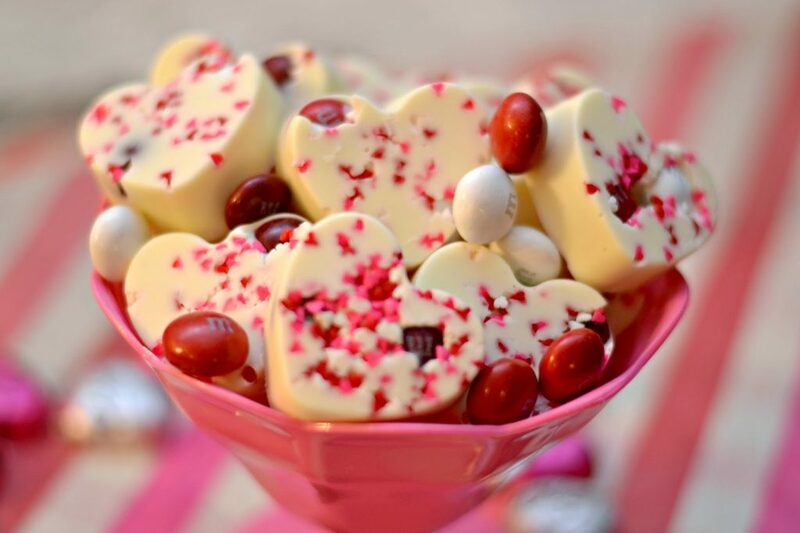 You had me at "white chocolate". These look so much nicer than store bought. These are really cute – I pinned your recipe to my Valentine's Board. These are an absolutely adorable! I really want them. These are just super cute! And very creative-thanks for the how-to! 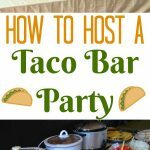 So cute, and looks like easy to do! 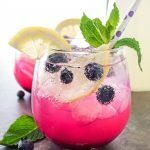 Those look so yummy and are so pretty too! Perfect for heart day! Those are perfectly adorable, and I want to make them myself! Those are too adorable. Candy molds are an awesome tool to have around. I need to look for these m and ms. These are so cute! I will definitely have to get me some new molds for sure.